Now fully committed to her vocation, Galli paints women – balancing watermelons on their fingertips or holding onto their pigtails in dream-like trances. There are also landscapes and abstracts, all with the same slightly offbeat feel of her figures. 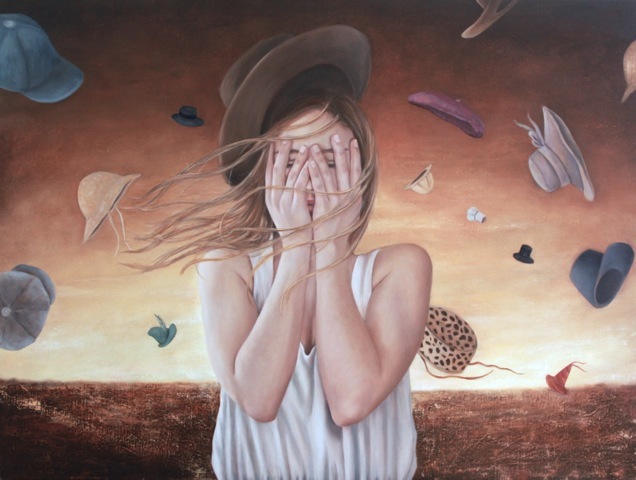 “Dreams and Digressions” will showcase more than 20 of Galli’s new paintings. Her work is featured in collections throughout the U.S. and abroad, including the United Kingdom, Australia and Panama. An opening reception with the artist will be held on June 28 from 4 to 7 p.m.